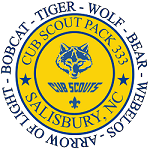 Welcome to Cub Scout Pack 333! This Pack is Currently Not Meeting. Please Contact the Central NC Council for a Pack Near You. We are chartered by St. Matthew's Lutheran Church in Salisbury, North Carolina, and are members of the Sapona District of the Central North Carolina Council, Boy Scouts of America. We have a great program for boys in first through fifth grades. 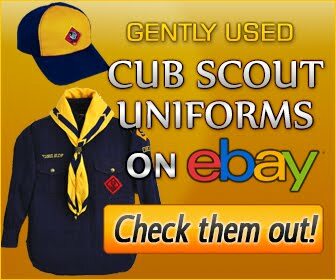 Most of our members attend Morgan Elementary School, but we welcome other boys in the area who are interested in joining Cub Scouting. We hope you enjoy this website and invite you to come and see just what scouting is all about. Come! Be A Part Of The Pack. Follow The Trail.